We have rooms suitable for both small meetings and large training events. For large numbers of participants, we recommend the auditorium or gym hall. If you are a smaller group, you can relax in the fireplace room or perhaps the library. We also have two cabinets available for events, which are connected to our restaurants. Ask for more information! Whether it is a conference, recreational day or perhaps a weekend event, we will find the perfect solution for you. Our ready-made conference packages will help when organising your event and can be booked for at least 10 people. 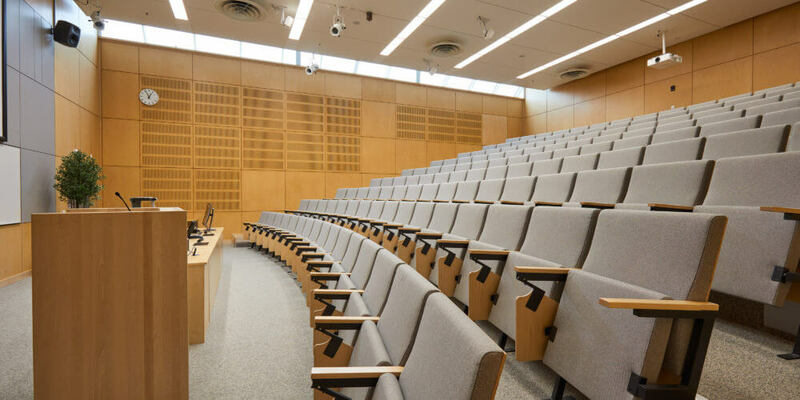 If you are organising a training event or a seminar for a larger audience, choose the spacious and elegant auditorium which is located immediately next to the main lobby. The auditorium can seat up to 140 people. At Murikanranta, you will find a comprehensive selection of meeting rooms, which are suitable for e.g. meetings and teamwork. The rooms are easily adaptable, and they can seat 24-80 participants. 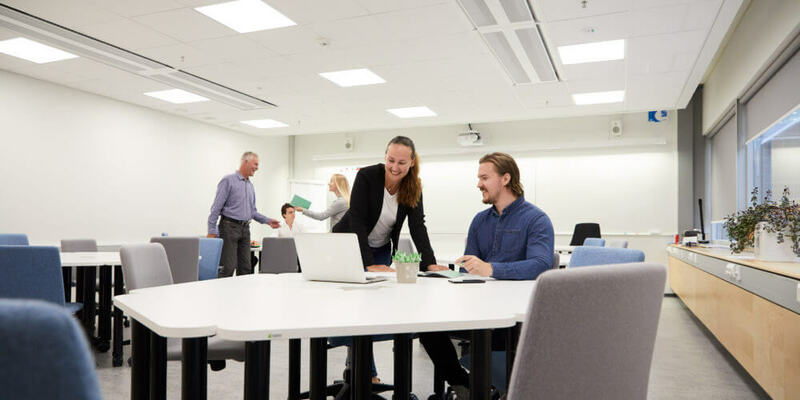 The library is one of Murikanranta’s most popular meeting rooms. 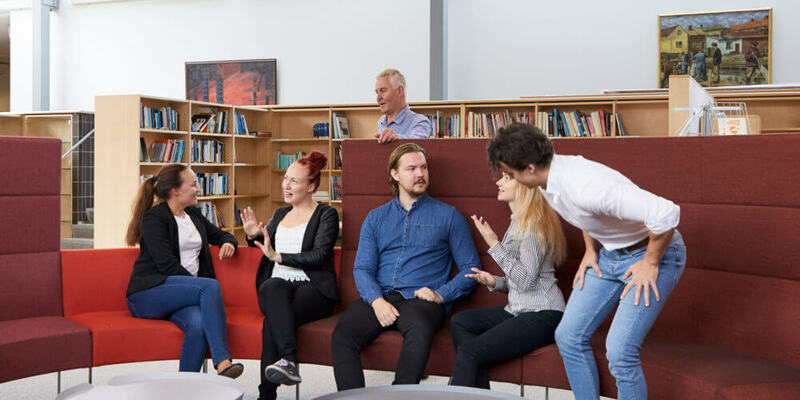 Sit down on one of the round group sofas with the entire team and utilise the room’s peaceful, nest-like atmosphere, for example, for teamwork. 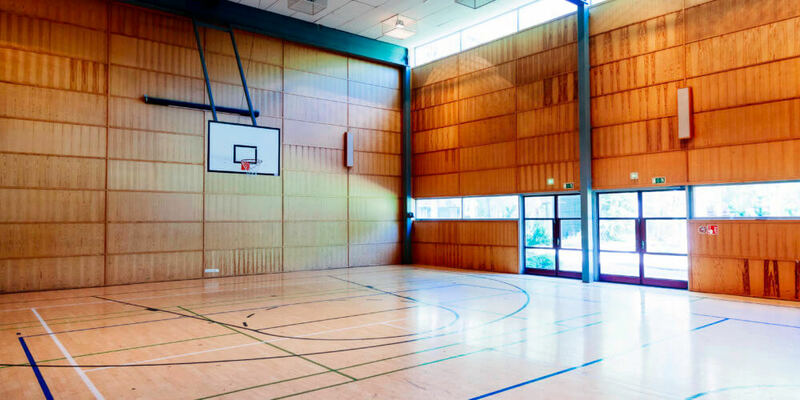 In addition to sports, Murikanranta’s gym hall can be utilized as a stage for large seminars and events. The room has a whitescreen and both conference and audio equipment are available. 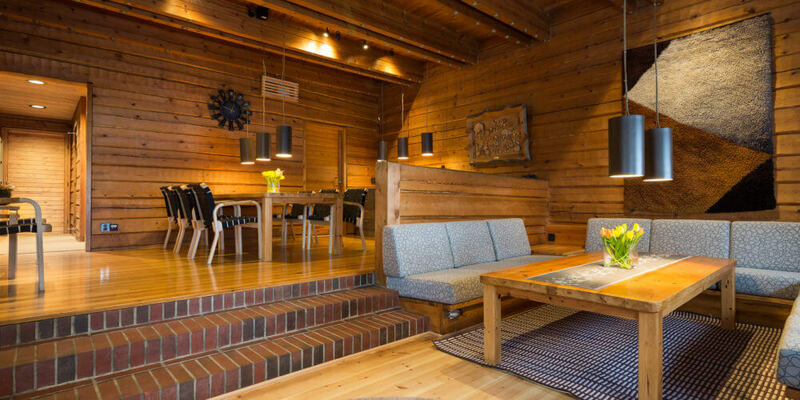 There is a lakeside sauna at Murikanranta, where you will find a comfortable and spacious fireplace room. The room is the perfect setting for an enjoyable evening and can easily be combined with a trip to the sauna and a dip in the waters of Lake Näsijärvi.